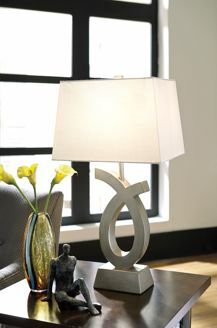 Amateya metal table lamp is an intriguing combination of hard lines and soft curves. Part lamp. Part art sculpture. Totally stunning.